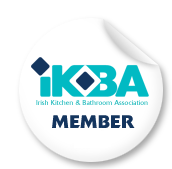 If you live in any part of Ireland and are buying a new kitchen in 2012 or 2013 then the Irish Kitchen and Bedroom Association would like to invite you to take part in our nationwide market research survey. This survey will track your experience buying a kitchen in Ireland from the initial planning stages through to installation and living with your new kitchen. If you would like to help us improve the buying experience for all kitchen customers in Ireland please contact us for more information.